If you want to rank in search engines quickly, you need to use a keyword research tool. Keywords are what people search for in search engines. These words, or phrases, are what help individuals to find the content they are looking for. Searchers can land on any website that a search engine decides is a high authority for that keyword. The goal, as a blogger, is to see what keywords you are ranking for, and to find new keywords that you can rank for. Identifying your keywords will help you to increase traffic to your blog, as well as revenue. The quickest way to do this is with a keyword research tool. There are numerous keyword research tools, however my favorite is the SEMrush Organic Research Tool. You can try it for free by clicking on SEMrush free trial. 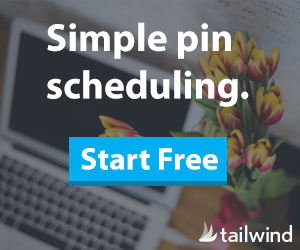 Once you’ve registered for your free trial, go to the SEMrush Dashboard. 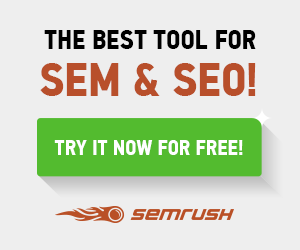 Here you can access all of the tools that SEMrush has to offer. On the left hand side, go to Domain Analytics, and then Organic Research. 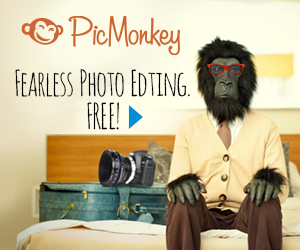 Enter your website and hit the search button. The display results will show you what keywords you rank for, the position you are ranking at, and whether your rank has increased or decreased. You can also see the search engine volume for those particular keywords. A higher number means more searches for that keyword, which means more potential traffic for you. More importantly, these results also help you to identify your top performing pages. Determine what type of content readers are looking for. Tip: Take your top 3-5 performing pages and add relevant ads, affiliate products, or your own opt-in form. This will help you to increase your ad income, affiliate income, or e-mail signups. Once you’ve determined what keywords you are ranking for. It’s time to see what keywords your competition is ranking for. Using the same steps as above, enter a competitors website and you’ll see what keywords your competitor is ranking for. Your competitors top ranking pages. 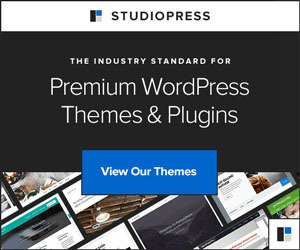 New keywords in your niche. Is your competitor ranking high for a keyword you would also like to rank for? Study the article, that is ranking, for clues as to why. Then craft your own (better) article. 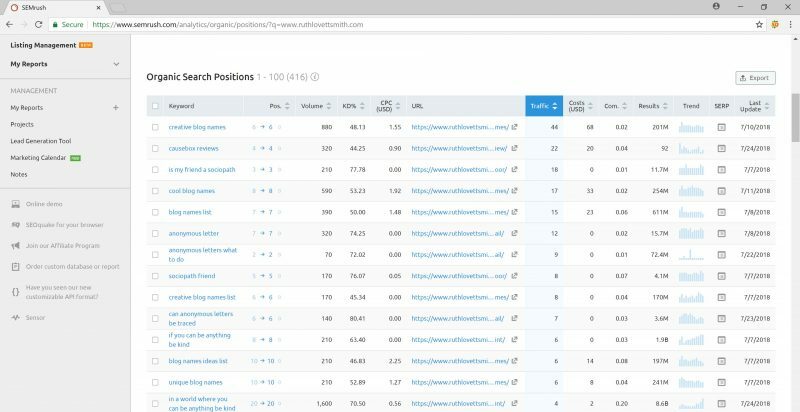 I cover finding keywords to rank for, and increasing traffic to your site, in more detail in my prior SEMrush Review. 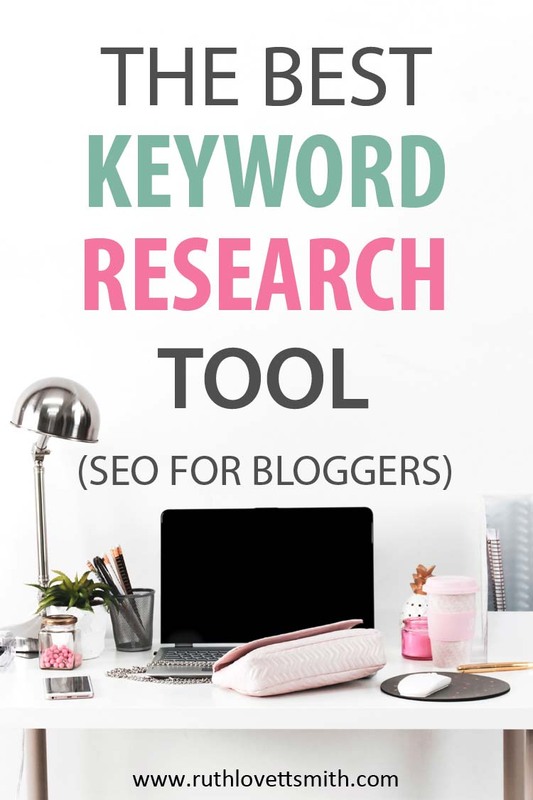 Using a keyword research tool helps you to streamline your blogging process and content. Instead of writing articles that you hope will rank in search engines, you can write articles with very specific and targeted keywords. A keyword research tool can also help you to increase your income. So much so, that it often offsets the cost of using one. By identifying high volume keywords, that you can rank for, you set yourself up for organic traffic success.